Many parents have always had at least some level of choice when it comes to educational options for their children. The public school within the neighborhood, of course, is the default option. However, parents who can afford it also have the option to send their children to a private school. And with modern technology, yet another option now exists: the online school. The concept of the online school does not refer to an adult taking a class online from a university. Rather, it refers to a full curriculum for children that can be delivered through the virtual medium, as opposed to the children actually making their way to a physical school building every morning. "Six-year old Jayden Carter spends his school day like most elementary school children. He wakes up early in the morning, gets dressed, and heads to school. But to get to school, Jayden doesn't hop on a bus or in a car. Instead, he logs onto a computer in his kitchen to attend an online school. " K-12 (kindergarten through twelth grade) is an online public school. Elementary and secondary school students can attend the entirety of their schooling online. At the present time, the K-12 online school model is often delivered to students through state virtual schools, or online programs that are directly administered by the individual states of America. According to John Watson et al. 's very important Keeping Pace study (which has monitored online schools for the past several years), there were a total of 741,516 state virtual school enrollments across the nation in the 2013-2014 school year; and fully half of those enrollments were in Florida. The state virtual school is very popular in Florida. It accounts for half of all enrollment in state virtual schools across the nation. The researchers have also indicated that 26 of the 50 states of America currently offer state virtual schools. In the 2013 - 2014 school year, there were 741,516 students enrolled in state virtual schools nationwide. The following table lists the number of students enrolled in state virtual schools in select states. From this data, it can be seen that even a large number of the states that do have online virtual schools only have a negligible level of enrollment in those programs. Florida, for example, has 500 times as many students enrolled as Alaska. These numbers raise the question of why the state virtual school is so extraordinarily popular in Florida. An analysis of this case may shed some light on the nature, purpose, and value of online schools in general. One point that must be made at the outset is that the numbers for Florida's state virtual school enrollment may be somewhat misleading, as they are not actually reflective of full-time enrollment. Rather, according to Annie Martin of the Orlando Sentinel, only 5,104 students in Florida actually had full-time and exclusive enrollment at the state virtual school. This suggests that there are significant overlaps between the three categories of schools—public, private, and online—especially in Florida. For example, consider the following scenarios. A student attends the normal public high school, but signs up for a course with Florida's state virtual school in order to speed up his progress and improve his GPA. A Florida student exclusively gets his full high school education at the state virtual school. A student who attends a physical private school in Florida also makes use of that private school's available online learning programs, as opposed to the state virtual school. In all these case, the student would be enrolled at an online school—but only in one of these cases would he be exclusively at an online school. The vast majority of students attending Florida's state virtual school are enrolled part-time. Just over 10,000 students are enrolled full-time. The implication that could be drawn from this fact is that Florida's state virtual school's popularity is not perhaps indicative of the quality of public and private schools within Florida, but simply rather of the level to which Florida's state virtual school has been developed and integrated into the state's school system as a whole. Before moving forward, it may be necessary to clarify exactly what is meant by enrollment at an online school, given that students enrolled at an online school often also attend physical schools. Moreover, it would seem that only a very small number of students exclusively attend online schools. If Florida's proportion is assumed to be reflective of the proportion of the rest of the nation, then only 1.35 percent of the total of 741,516 students enrolled at state virtual schools nationwide would be enrolled full-time: that's a mere 10,010 students. Compare this with the 1.77 million students who are exclusively homeschooled nationwide, according to the U.S. Department of Education. It can be inferred that very few students attend state virtual schools full-time. Assuming that the proportion of part-time to full-time state virtual school students in Florida reflects the national average, an estimated 10,000 students nationwide are full-time state virtual school students. Disclaimer: The online schooling numbers above only include enrollment at state virtual schools, and it is certain that the numbers would be higher if other forms of online schools were included in the tally. However, given that state virtual schools are a leading provider of online schooling, the main point of the table above would still hold. In order to consider the implications of online schooling, it may be necessary to focus on part-time enrollment, and then extrapolate to what may happen if full-time enrollment became more widespread. This is because at the present time, actual full-time enrollment in online schools would seem to affect only a very small number of students across the nation. The available evidence on the subject would seem to indicate that online schools may have a quality problem. According to a study conducted by June Ahn and Andrew McEachin and published in Education Researcher, students enrolled in online schools in the state of Ohio—that is, enrolled exclusively in such programs—tend to come from lower socioeconomic backgrounds and also are significantly less likely to pass their graduation exams relative to students in normal public school programs. Students fall behind in regular school, and then decide to pursue the online school path. The online schools prove to be inferior to the regular schools. The student falls even further behind than he already was in the first place. If this were true, then it would mean that the online school alternative is less a real opportunity than it is a kind of sand trap. Though elementary school students - like the young Ohio student pictured below - can attend classes online, education watchdogs warn that online schools in some states (including Ohio) are dangerously underperforming. This theoretical consideration is supported by data provided in a report by the National Education Policy Center, which indicates that for the 2011-12 school year, fully 71.9 percent of the 228 schools evaluated in the report were found to have been rated academically unacceptable by the relevant state agencies across the nation. Online schools may not be of the same academic caliber as traditional public schools. According to the National Education Policy Center, over 70% of the online schools evaluated nationwide were rated academically unacceptable by their respective state agencies. Likewise, the National Center for Education Policy has also indicated that public schools across the nation boast an on-time graduation rate that is over twice that reported by all online schools. This information is clearly disconcerting, to say the least. The Center for Research on Education Outcomes or CREDO is based out of Stanford University, and researches how to improve overall education decisions about education in the United States. CREDO and the Ohio Education Research Center found that in Ohio, online students are actually falling more and more behind those in traditional schools every year, and published their findings in a detailed report. According to the National Center for Education Statistics, private school students consistently outperform public school students across a wide range of subject matters. For example, here are the scores for writing in grade 8. It's apparent that public school students are struggling more with writing than their private school peers. 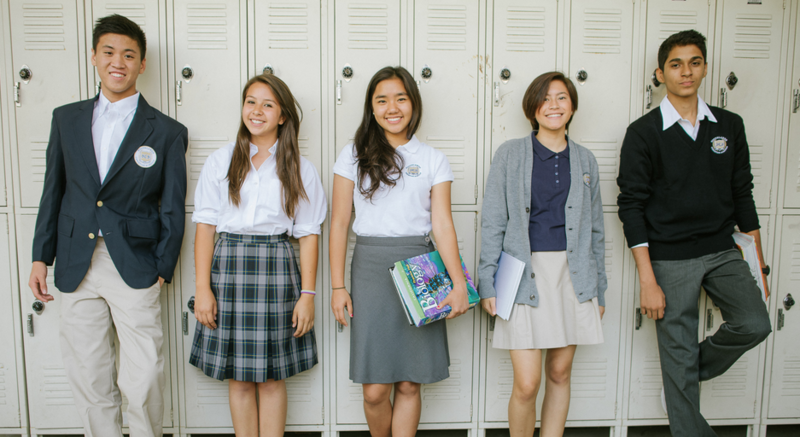 Private school students consistently outperform their public school peers. According to the National Center for Education Statistics, private school students in the eighth grade performed better on their writing proficiency tests at the "basic," "proficient," and "advanced" levels than their public school peers. There would thus seem to be a reason that private schools cost so much. School is not just about the education that one directly receives in the classroom; it is also, and perhaps most importantly, about becoming socialized into one's culture and peer groups. This is why the school has always been understood by sociologists to be one of the main institutions of society. In this context, online schooling, like homeschooling, would be a way for the student to largely opt out of the socializing process carried out by schools. This would be more in line with the sociological perspective of conflict theory, which suggests that the socializing process is essentially sinister, as opposed to functionalism, which sees the process as benign. School is one of the five main institutions in society. Attitudes toward these institutions can be explained via the sociological theories (functionalism and conflict theory) below. Introduction to Sociology, by Anthony Giddens et al. For all intent and purpose, full-time online school students may miss out on the same things that a homeschooled student misses out on versus public school students. So, it will be worthwhile to consider what the research literature has to say about homeschooling, since the effects will almost certainly be the same for online schooling as well. According to a study conducted by Brian Ray for the Homeschooling Legal Defense Association, it was found that 13 percent of homeschooled children actually do not play with anyone outside of their own families. This was not the main point of the study, but it is still a disconcerting peripheral finding. Some homeschooled students may have less opportunities to develop social skills than public school students. According to the Homeschooling Legal Defence Association, one in six homeschooled children never play with people outside their family. It can be expected that these numbers may be even worse for children in online schools, as online schooling both isolates children from the physical school setting and also does not involve as much interaction with family members as does homeschooling. "Compared to children attending conventional schools, . . . research suggests that they [homeschooled students] have higher quality friendships and better relationships with their parents and adults. They are happy, optimistic, and satisfied with their lives. Their moral reasoning is at least as advanced as that of other children, and they may be more likely to act unselfishly." This is an impressive list of traits. If the statement is valid, this means that most homeschooled children learn social and emotional skills just as well as children in physical schools; they just learn those schools in a different way, having an emphasis on family. The same could well hold through for children attending online schools. Not all homeschooled children suffer from a lack of social skills. Despite the amount of time they spend at home relative to their peers in public schools, research suggests that homeschooled children have better friendships and relationships with their families. Online schools have two main weaknesses, both of which have been discussed to some extent above. The first has to do with academics, and the second has to do with socialization. Regarding academics, the evidence would seem to suggest that online schools often do not provide education of an adequate quality to their students. And regarding socialization, it is a fact that even if students of online schools develop social and interpersonal skills in their own ways, they are still not being socialized into their culture in the way that students would be in a physical school, as conventional education is one of the primary institutions of modern society. Critics of online schooling believe that students who attend online schools receive a lower quality of education than public school students and less opportunities to socalize with peers. Academics A large majority of online schools do not provide their students with an education of adequate quality. Socialization Students in online schools do not get the ordinary experience of dealing with their peers on an everyday basis and becoming socialized with their education. It has been noted above that one of the benefits of homeschooling—and by implication, online schooling as well—would be that the students learn to mature in their own way and develop their own forms of self-esteem. It is unclear, however, whether this would adequately prepare them to become a full-fledged adult member of society. It is also unclear whether their forms of self-esteem would enable them to meet with success within the context of the "real world," especially if online schools are often inadequate in terms of academic quality itself. Do online schools have prestige? There would seem to be relatively little evidence regarding the topic of how online K-12 schooling is perceived by colleges. However, there is a great deal of evidence regarding how attending an online college is perceived by potential employees. So, as with the discussion of homeschooling above, it may be appropriate here to proceed by way of analogy and implication, as a means of compensating for the lack of more direct evidence on the matter. "some recruiters blame the stigma on the last decade's 'diploma mills'—online,unaccredited programs known for offering a degree to anyone with a full wallet." Over the past few years, though, it would seem that this stigma has been fading, due to the growing prevalence of the online education paradigm in general. For example, in a study conducted by the Online Learning Consortium, it was found that over a quarter of all college students at the present time take at least one online course. Online classes have risen in popularity over the last few years. One out of every four college students has taken an online class. When this many students are taking at least one class online, it no longer makes sense to stigmatize online schooling as such. Moreover, most employers probably have neither the time nor the desire to parse through which specific courses on a transcript are or are not reflective of an online course. They merely want to know a major and a GPA. The relationship between the college to professional transition and the K-12 to college transition probably have parallels in this regard. Most colleges probably do not look too closely at whether an applicant's high school transcripts are reflective of online courses or physical classroom courses, given that many high school students in conventional classes may also take online courses in order to boost their educational experience. For example, many students in more rural or isolated areas of the country may take Advanced Placement (AP) courses online. This would be reflective of the student's ambition to do more advanced work than is available at his/her school, which of course would look very good from the perspective of a college admissions officer. Online classes enable students to supplement traditional coursework with courses that aren't available in traditional schools. For instance, an ambitious student in a rural public school might opt to take advanced placement courses online if they're not offered at his or her school. In this schema, the only real weakness that the student who has been educated online would consist of extracurricular activities. However, if the data on homeschooling is any indication, then the online student would be likely to participate in his community in ways that may not be generally available to the conventional student. For example, Brian Ray of the Homeschooling Legal Defense Association has indicated that fully one-third of all homeschooled students participate in community service. A homeschooled student's flexible schedule lets him or her participate in a range of extracurricular activities. Approximately one-third of homeschooled children participate in community service. If students who are exclusively enrolled in online schooling options develop their extracurricular activities along these lines, then this should make up for the competitive disadvantage they may have when attempting to enroll at a college. In fact, the diversity of activities not seen in other conventional students may even potentially give the online student an advantage in this area. As a general principle, it is likely true that if a student has been enrolled in online schools all of his life, then he may be more likely to continue along this track when it comes to making a college decision. There is scant direct evidence on this matter, however; so it may be appropriate to proceed by way of analogy once more. It is a fact that when it comes to the top colleges that are part of the Ivy League (Harvard, Yale, Princeton, etc. ), going to a private school for K-12, and especially for high school, could strongly enhance the student's chances of gaining admission. Gerald Bradshaw of Business Insider, has compiled a list of the top 25 private high schools in the country that serve as "feeder schools" for the Ivy League colleges (and other top colleges). In short, there is a strong correlation between attending one of these top private high schools on the one hand and going on to attend a top college on the other. To an extent, this kind of correlation may have a great deal to know with the different kinds of people that the student gets to know at public schools, private schools, and online schools. It is true, for example, that in a private school, classes are generally smaller than they are in public schools, meaning that each student gets more individualized attention. And this is even leaving aside the fact that private school teachers may feel more of an imperative to "groom" their students toward particularly successful futures. Small class sizes enable private school teachers to devote more attention to the individual needs of each student. The average private school teacher has four less students in his or her class than the average public school teacher. In online schooling, it is possible for the student to communicate with the teacher online; but the teacher is probably administering a class filled with a large number of students. In the comparison discussed above, then, online schools would likely rank considerably worse when it comes to student/teacher ratios than either private schools or public schools. Moreover, it is worth considering the point that in high-profile private schools, teachers and administrators may have internal connections with powerful people, such as Ivy League college admissions officers. These connections could prove invaluable for promoting the success of the student. The online student, however, would clearly not have access to such connections, as it is very difficult to make a personal impression or truly stand out as exceptional when taking online courses. As connections matter, students enrolled in online schooling may find themselves at a distinct disadvantage relative to private school students in particular and all physical school students in general. This is related to the point regarding socialization that has already been made above. Public, private, and online schools each have unique strengths. The table below describes how each type of school can benefit students. When deciding on an educational option for a child, then, there are three main points that should perhaps be considered. What's the budget? For most families, private school would be an unaffordable luxury, on top of tuition, parents also have to budget for other items, like school uniforms. How much does ordinary socialization matter? If this is an important priority, then online schooling would definitely not be a good idea. Is independence a top priority? In that case, online schooling may well be a good option. Though private schools can be expensive, studies show that the quality of education provided by private schools surpasses most public and online schools by a wide margin. Parents' perspectives regarding online schooling are necessarily subjective in nature; and as was previously the case, homeschooling data may be a good proxy measure for this discussion, as in both homeschooling and online schooling, the student stays at home as opposed to going to a physical school. This dynamic in and of itself can have a strong effect on how parents view online schooling. "My mom couldn't handle suddenly having us home with her all the time, and began to spend time in other rooms away from us. When she was feeling ok, she left us alone while she cleaned and talked on the phone. When she was not feeling ok, she left us alone while she cried." This admittedly sounds quite nightmarish; and it should not be taken as a suggestion that this is what all homeschooled children experience. However, this testimony is still worth taking into account. It must be understood that if one's child is enrolled in online school, this means that instead of going off to a physical school every morning, the child will be around the house all day. For some parents, this may be a dream come true—but for others, it may become an unanticipated nightmare. Of course, online schooling would be less strenuous for parents than homeschooling, given that the curriculum would be developed by school systems and educational programs, and not by the parents themselves. The point still remains, though, that the child will be present around the house quite a lot. Parents may also want to consider their rationales for wanting to enroll their children in online schools as opposed to conventional, physical schools. According to a study conducted by R. Kunzman and published in an academic journal, a full three-quarters of parents who chose to homeschool their children also reported that religion was very important within the household. In some cases a religious specialist may even recommend homeschooling or require a child be homeschooled in more extreme cases. Religious concerns may sway parents to homeschool their children. According to a study published in Theory and Research Education, religion was considered to be very important to three-fourths of the parents who homeschooled their children. Parents who choose online schooling for their children may also have the motivation of shielding their children from the socialization of mainstream society. This would be congruent with the conflict theory sociological perspective on the nature and purpose of the institution of education. A student with social anxiety disorder may opt to attend an online school instead of a traditional school to avoid the process of socializing with peers. The American Psychological Association defines social anxiety disorder with the criteria below. However, parents should also consider whether online schooling may just exacerbate the weaknesses they already see in their child. For example, a student with social anxiety disorder may prefer to learn on his own from home, as opposed to going to a physical school and immersing himself in the social dynamics of that situation. In this kind of situation, the parent would probably do well to actually encourage their child to go to a conventional, physical school, so that they can learn the skills and mental mechanisms needed for coping with the "real world" when they are adults. as online schooling becomes a way of indefinitely sheltering the child, it may eventually become counterproductive for both the parents and the child. One of the most important considerations to keep in mind when looking over this information, is that there is not necessarily a mutually exclusive choice involved, here. A student can both be enrolled in conventional school and take online courses in order to fill out his educational experience. There is no need, unless this is a clear preference on the part of the students and/or their parents, to enroll exclusively in online schools. As the data above has shown, the vast majority of students who take online courses do so on a part-time basis, while they are also enrolled in a conventional public school or private school. Such arrangements are becoming increasingly common in this day and age. These are some of the main points that have been addressed in this article. Many states have online schooling programs, but very few students are exclusively enrolled in such programs. Most of them are concurrently enrolled in conventional schools. Private schools offer the highest-quality education in terms of academics. But of course, they come with a steep financial barrier. Conventional schools are a main institution through which the younger generation is socialized into their culture and society. Students enrolled full-time in online schooling, like students who are homeschooled, may miss out on large parts of this process, for better or for worse. Students enrolled in online schooling would likely have the same time and opportunity as homeschooled students to engage with their communities in ways that may not be possible for conventional students. Online schools deliver education of a lesser quality than what is delivered by either public schools or private schools. So, if you are a student considering online schooling or a parent considering this option for his/her child, then these are points that must be taken into account. On the balance, the suggestion could be made that there is little reason for a student to be enrolled full time in online schooling alone. A better option may be to use online schooling to supplement and boost the education that the student receives through public schools or private schools. Whether you’re going to public school, private school, or you’re going back to school in your 30s, we wish you the best of luck! Ahn, June, and Andrew McEachin. "Student Enrollment Patterns and Achievement in Ohio's Online Charter Schools." Education Researcher (2017). Web. 27 Feb. 2017. <http://journals.sagepub.com/doi/full/10.3102/0013189X17692999>. Giddens, Anthony, et al. Introduction to Sociology. New York: W.W. Norton & Company, 2013.Print. Haynie, Devon. "How Employers View Your Online Bachelor's Degree." U.S. News & WorldReport. 4 Mar. 2014. Web. 5 Mar. 2017. <https://www.usnews.com/education/online-education/articles/2014/02/28/what-employers-really-think-about-your-online-bachelors-degree>. Kunzman, R. "Understanding Homeschooling: A Better Approach to Regulation." Theory andResearch in Education 7 (2009): 311-330. Print. Martin, Annie. "Florida Virtual School Pushes for More Students." Orlando Sentinel. 26 Jul.2016. Web. 27 Feb. 2017. 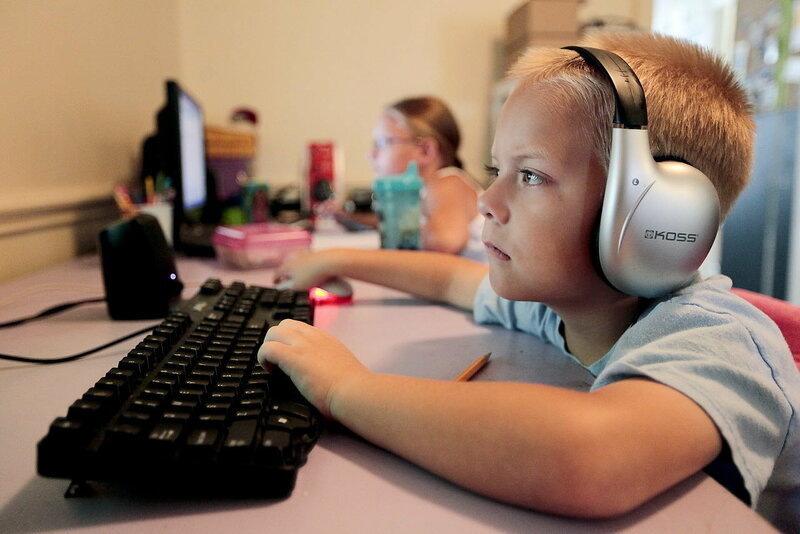 <http://www.orlandosentinel.com/features/education/os-virtual-school-changes-20160726-story.html>. Martin, Emmie. "The 25 Best Private High Schools for Getting into a Top College." BusinessInsider. 13 May 2016. Web. 5 Mar. 2017. Medlin, Richard G. "Homeschooling and the Question of Socialization Revisited." PeabodyJournal of Education 88.3 (2013): 284-297. Print. National Center for Education Statistics. "Public and Private School Comparison." Author, 2017.Web. 5 Mar. 2017. National Center for Education Statistics. "Writing 2011." The Nation's Report Card. 2011. Web.7 Mar. 2017. <https://nces.ed.gov/nationsreportcard/pdf/main2011/2012470.pdf>. National Education Policy Center. Virtual Schools in the U.S. 2013. Author, 2013. Web. 27 Feb.2017. O'Hanlon, Leslie Harris. "Virtual Elementary School: Should You Enroll Your Kids?" Parents.n.d. Web. 27 Feb. 2017. Online Learning Consortium. 2015 Online Report Card. Author, 2015. Web. 5 Mar. 2017. U.S. Department of Education. "1.5 Million Homeschooled Students in the United States in2007." National Center for Education Statistics, 2008. Web. 27 Feb. 2017. Ray, Brian. "Homeschooling Achievement." 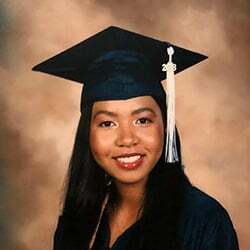 HSLDA, 2001. Web. 5 Mar. 2017. Tinous, Sara. "Homeschooling and Mental Illness." Homeschoolers Anonymous, 14 Oct. 2013.Web. 5 Mar. 2017. <https://homeschoolersanonymous.org/2013/10/14/homeschooling-and-mental-illness-by-sara-tinous/>. Watson, John, Larry Pape, Amy Murin, Butch Gemin, and Lauren Vashaw. Keeping Pace withK-12 Digital Learning. 2014. Web. 27 Feb. 2017. Ultius, Inc. "How Online Schooling Compares with Public and Private Schooling." Ultius | Custom Writing and Editing Services. April 12, 2017. http://www.ultius.com/ultius-blog/entry/how-online-schooling-compares-with-public-and-private-schooling.html.